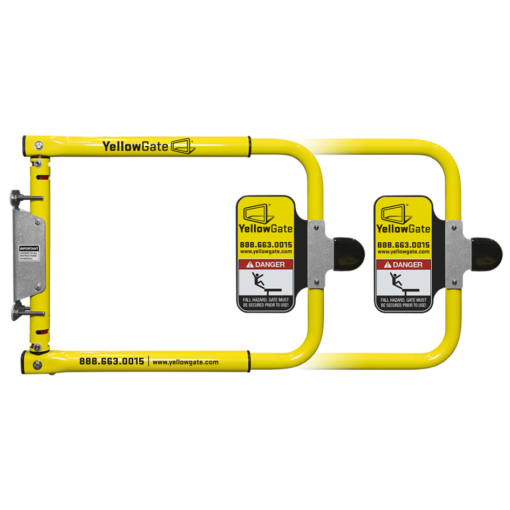 YellowGate’s twenty inches of adjustable length, adjustable swing direction and universal mounting system protects every passageway, with one swing gate. 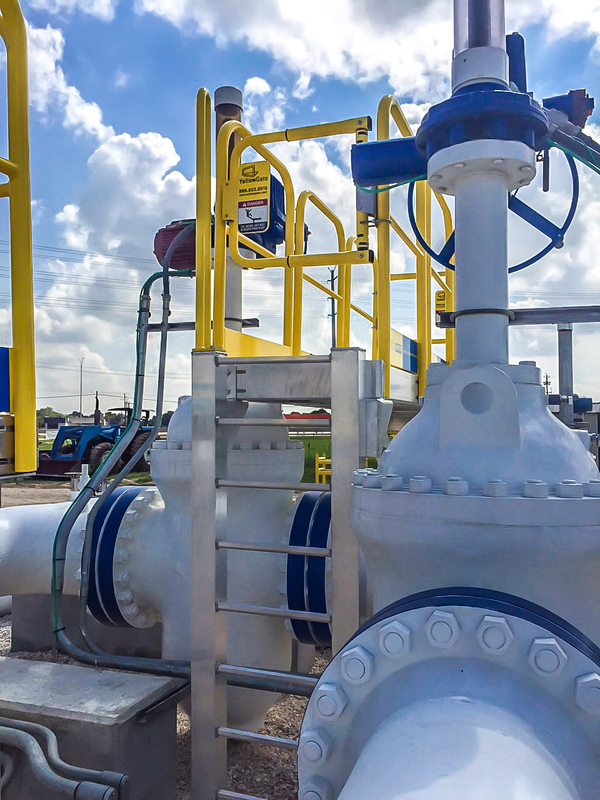 Simply count the number of openings you need to protect and place your order — no tracking of measurements or mounting types required. With 16″ to 36″ of adjustability, YellowGate’s universal swing gate covers the largest opening distance of any swing gate on the market. 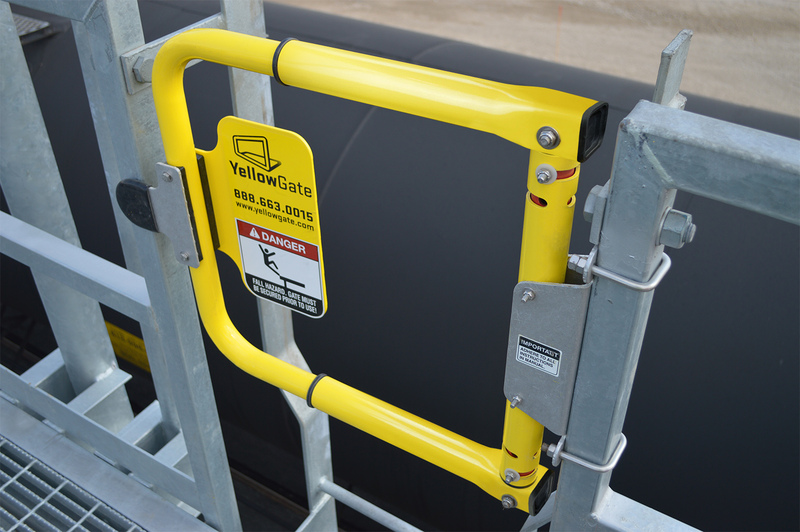 Changing the direction of a YellowGate’s swing is as simple as changing a few bolts. 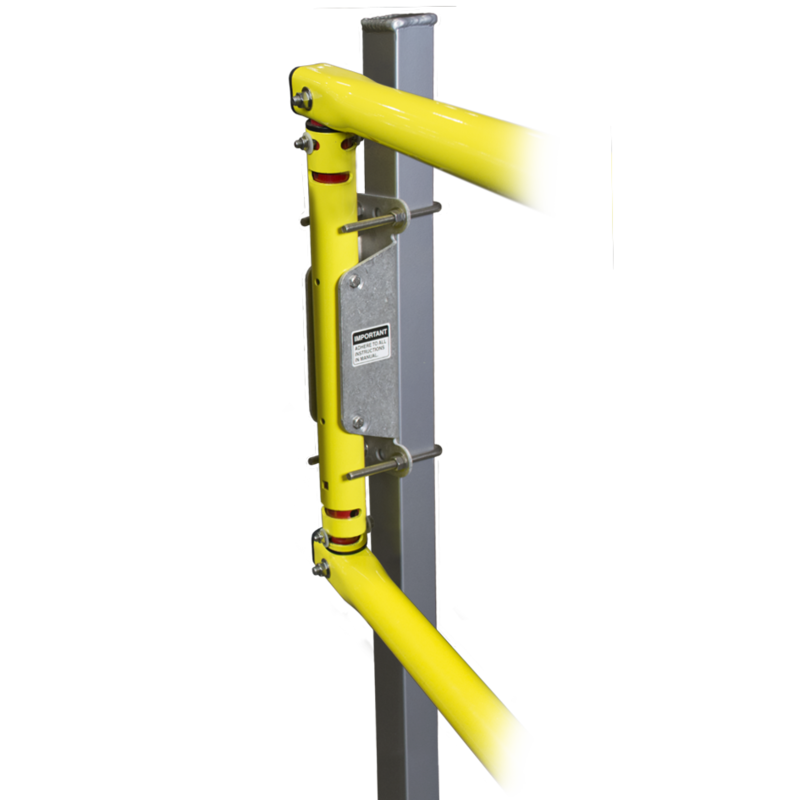 With other swing gates, changing swing direction requires flipping of parts or mounting positions that restrict installation flexibility. 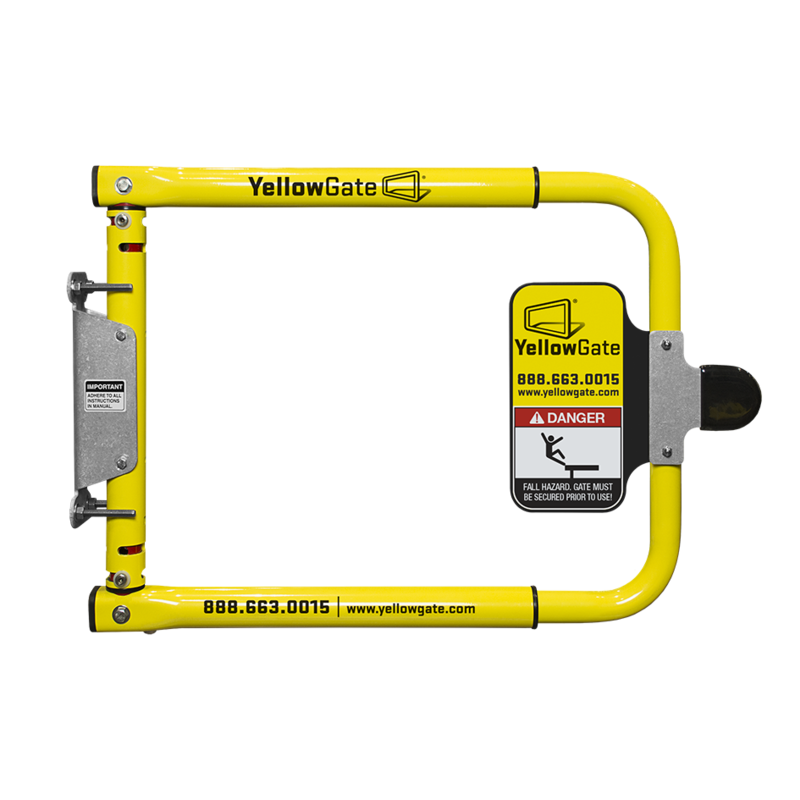 With 16″ to 36″ of adjustability, YellowGate’s universal swing gate covers the largest opening distance of any swing gate on the market. To choose your width, simply slide the gate to the desired width and fasten the adjustment bolts on the top and bottom rails. Note: inline mounting covers openings from 19.625” to 36“. 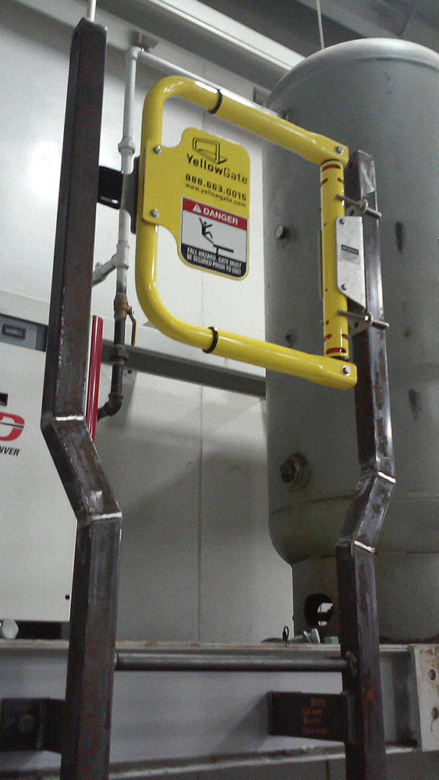 Perpendicular mounting covers openings from 16” to 32.625”. 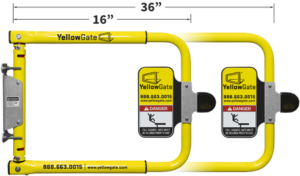 YellowGate’s universal swing further reduces ordering complexity and allows you to re-purpose gates as required. 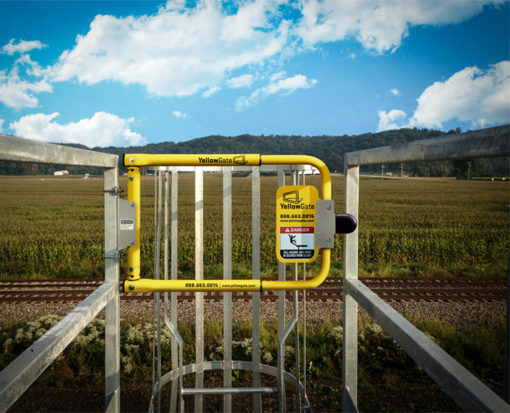 Changing the direction of a YellowGate’s swing is as simple as changing a few bolts. With other swing gates, changing swing direction requires flipping of parts or mounting positions that restrict installation flexibility. 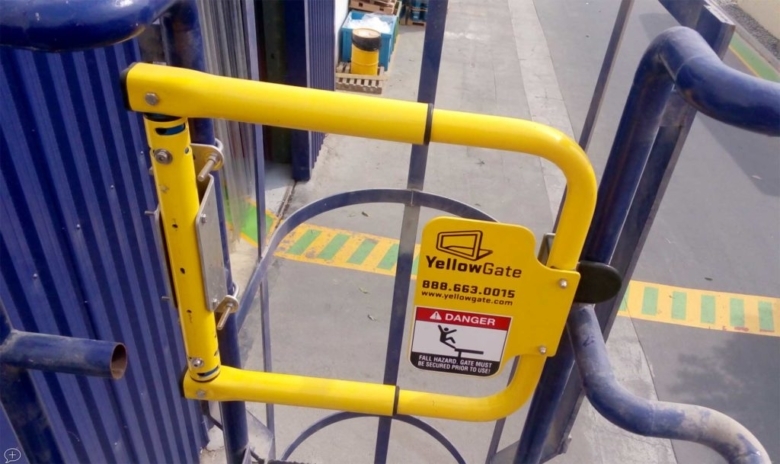 YellowGate opens to a maximum angle of 108 degrees. 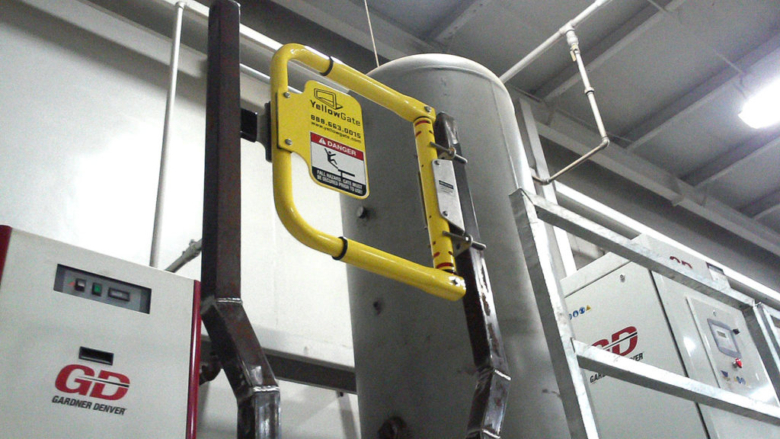 YellowGate’s universal mount installs in minutes using simple hand tools — no cutting, welding or drilling required. 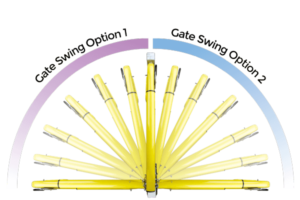 The mount can be fixed to walls, square and round tubing, or angle iron in both parallel and perpendicular mounting positions. 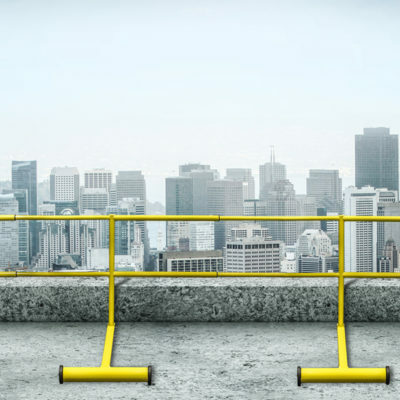 The universal mount meets any installation requirement, with a single SKU. 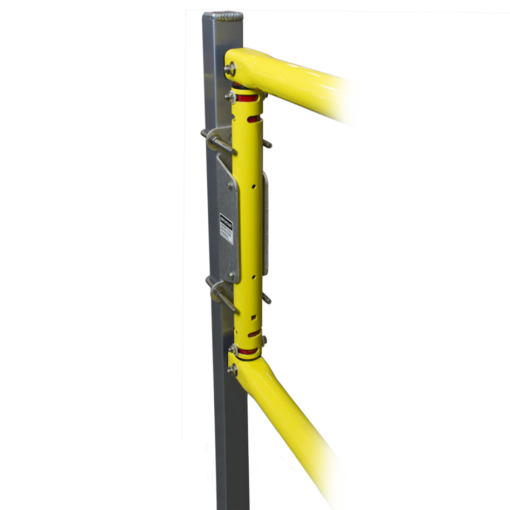 Perpendicular mounting places the mount and hinge point outside of the passageway maximizing access width and minimizing dangerous snag potential. This mounting configuration is commonly used with ladders and other narrow openings. Parallel mounting attaches the mount so the gate handrail and hinge point are aligned. 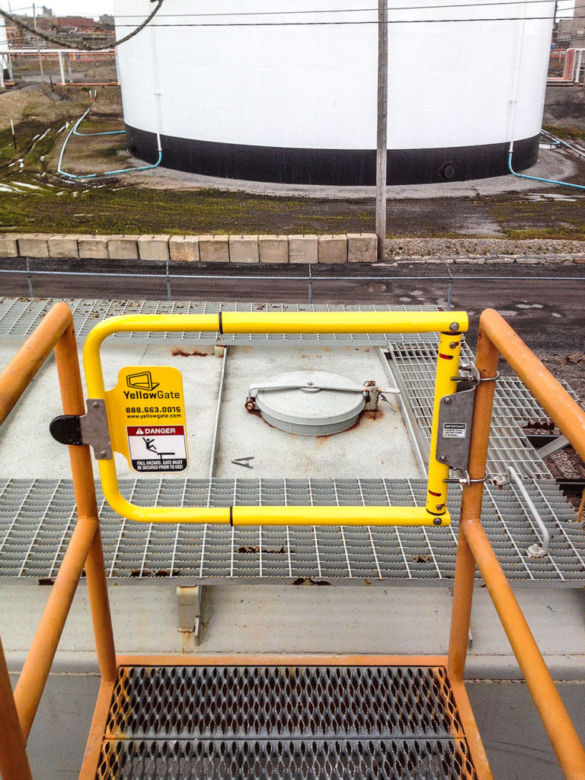 This mounting configuration is often used in large openings. Each swing gate includes stainless steel mounting and hardware kit along with a tension adjustment tool to make installation fast and easy. 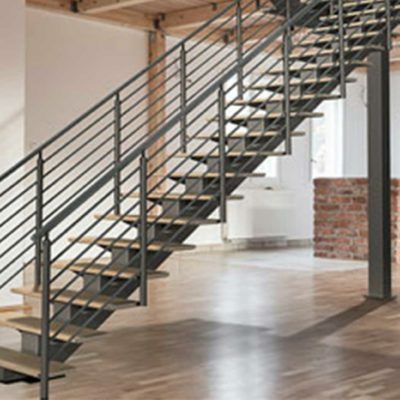 MEETS ANY INSTALLATION REQUIREMENT, WITH NO ADDITIONAL PARTS REQUIRED. Ladder Fall Protection, YellowGate’s smallest adjustable range, fits narrow ladder openings, protecting from dangerous falls. 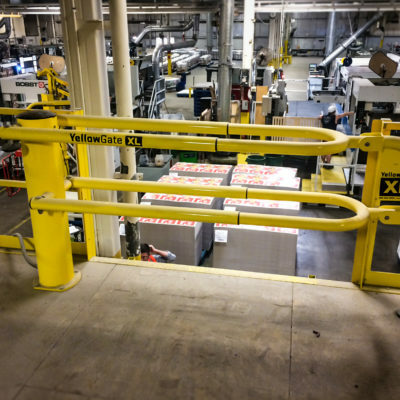 YellowGate’s design reduces the risk of operators being retained or tripped at the ladder opening.